Product #5940 | SKU CHM99WH | 0.0 (no ratings yet) Thanks for your rating! The AKG CHM 99 Hanging Microphone is an affordable solution for capturing choirs, ambience, actors and other sources from overhead. The microphone features a cardioid polar pattern for maximum gain before feedback. Its lightweight unobtrusive design allows it to be suspended from the ceiling or a beam while remaining unobtrusive. 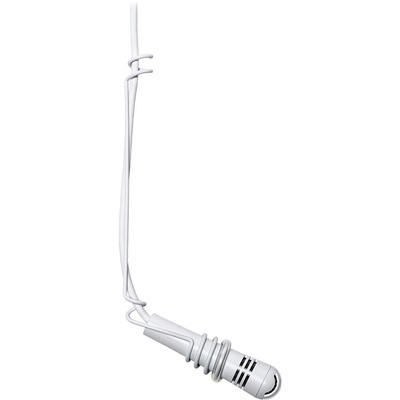 Easily adjust the microphone's angle with the included steel spring hanging clamp. The CHM 99 is well suited for houses of worship, auditoriums, town halls, theatres and more.